What are the benefits of evaporative coolers? Homeowners in Denver commonly refer to evaporative coolers as a swamp cooler, but regardless of what you call it, you’ll find there are lots of great benefits to having one of these amazing devices in your home. We’ve put together a list of the top 7 benefits for homeowners who install evaporative coolers in their homes. Evaporative coolers constantly bring fresh, filtered air into your home. Evaporative/swamp coolers draw in fresh air from the outside, and the pads inside the cooler filter the air before it enters your home. Swamp coolers allow you to open doors and windows in the summertime. You won’t have to tell your little ones to ‘stop running in and out’ because the air conditioner is on. You’ll save up to 90% on energy costs vs. central air conditioning. 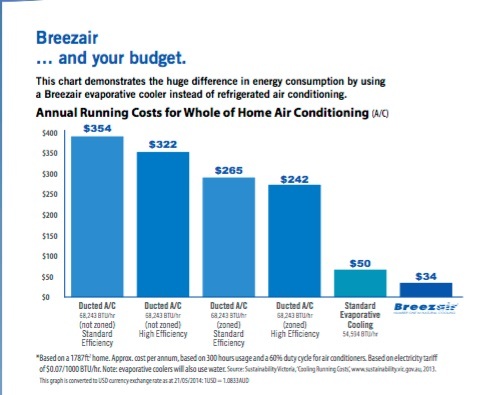 A Breezair evaporative cooler uses only 1/10th as much electricity as an typical air conditioning unit would during the summer months in Denver. Cheaper, old-style swamp coolers won’t save you quite that much, but even they are less expensive to operate than a central air conditioner. Evaporative coolers are considerably quieter than a typical air conditioning unit. You won’t be kept awake at night by constant noise and buzzing when you install a swamp cooler. The best coolers, especially the variable-speed models, are whisper quiet. While it’s true that old-style swamp coolers are prone to breakdowns and maintenance headaches, the premium evaporative coolers manufactured by the industry leading manufacturer (Breezair) are extremely easy to maintain. Evaporative coolers add moisture into the air in your home. Central air conditioning actually dries out the air in your home, which can lead to irritation for people with allergies. Swamp coolers add an optimal amount of moisture into the dry, outside air before distributing it throughout your home. Evaporative coolers are a very eco-friendly way of cooling your home. 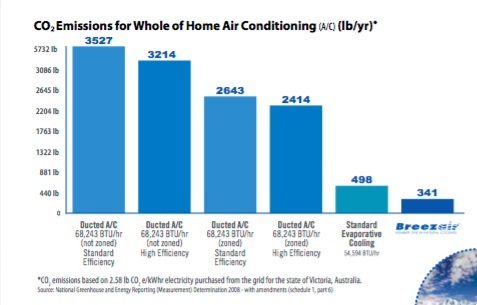 They use less energy, and they don’t use any environmentally-damaging refrigerants that air conditioners rely on to cool your home. High-quality swamp coolers emit a fraction of the CO2 that other home cooling systems do, so you can stay comfortable in the hot summer months, and still feel good about having made a choice that’s much healthier for the environment. Name * Phone * Email* How Can We Help You?